Home > Smartwatches > The Smartwatch Trend: Will Smartwatches Replace Mechanical Watches? Will Smartwatches Replace Mechanical Watches? Long story short: No, smartwatches will not replace mechanical watches. The smartwatch trend is often related to the 1970s and early 1980s Quartz Crisis. Both the quartz movement and the smartwatch made a huge impact on the watch industry with their technological advancements, but as they become more common, mechanical watches will return in favor. However, I cannot claim that the mechanical watch industry won’t be affected at all. If I tried to argue that, then you’d accurately call me a liar. 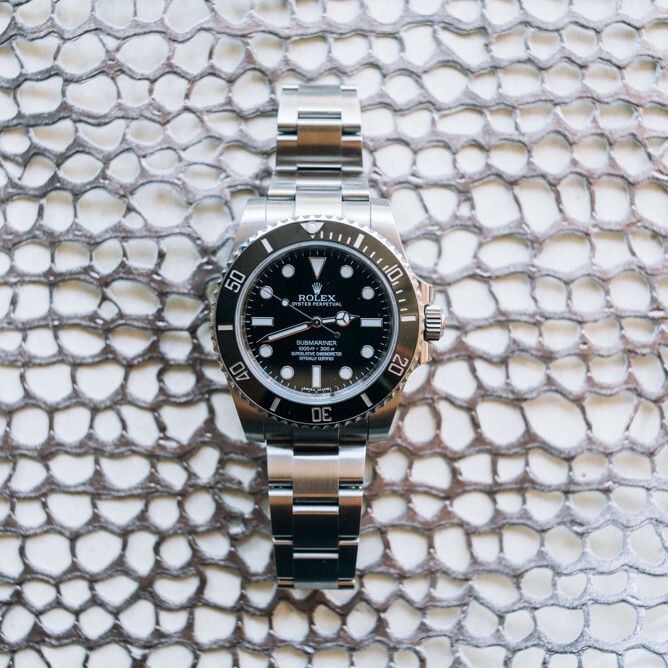 Watch brands that sell mechanical watches in the lower- to mid-range may see a decrease in sales as their typical consumer buys a smartwatch instead. These brands will face more competition whereas luxury watch brands will see less of an impact. Below you’ll find my top four reasons why I believe mechanical watches are here to stay. This is by far the most important reason why mechanical watches are here to stay. Mechanical watches are crafted with the utmost care. The time and energy that went in to design, create, and manufacture a timepiece is appreciated by collectors. The more intricate a movement or design; the more fascinating it will be to its consumers. Although smartwatches are technologically advanced, they cannot compare to a complicated mechanical watch with an in-house movement. Additionally, watches are used for more than just telling time. Watches are a fashion accessory that cannot be replaced with a smartwatch. Oftentimes a watch is a man’s only accessory, and this accessory can be crucial to tying together an outfit. For example, a pilot watch with a nylon strap is ideal for everyday use whereas a dress watch with a leather strap is the perfect accessory for a special occasion. Although a wearer can change the straps on a smartwatch, the overall appearance of the watch cannot be changed. Luxury watch collectors are either ignoring the smartwatch trend or purchasing a smartwatch and adding it in to their rotation. You’d be hard pressed to find a collector that replaces their luxury mechanical watches with a smartwatch permanently. The luxury watch industry will not lose their buyers to the smartwatch trend. These buyers recognize that a luxury watch is an heirloom that can be passed down from generation to generation. Smartwatches, similar to the Apple phone, will lose their value rather quickly as newer technology becomes available. Give it a few years and your smartwatch will be dated whereas a good mechanical watch will last for decades. As I briefly mentioned in the first point, a wearer will have a variety of occasions in which to wear their smartwatch. For instance, a smartwatch may be their go-to watch for everyday activities such as working out or running errands. In contrast, a mechanical dress watch is better suited for weddings, holiday parties, or business meetings. You can also add in a bit of variety. Add your smartwatch into your watch rotation without completing ignoring your other watches. It’s too early in the game to see if smartwatches will have an overall effect on future watch sales. However, many experts believe that as smartwatches become more popular, it’ll also boost traditional watch sales. Consumers will become used to wearing something on their wrist, and they may turn to traditional watches as an alternative to their smartwatch. This transition may not occur for every smartwatch owner, but if it happens for a small percentage, then that’s nothing to shake your head at. My prediction? The mechanical watch industry won’t have to worry too much about the threat of smartwatches.